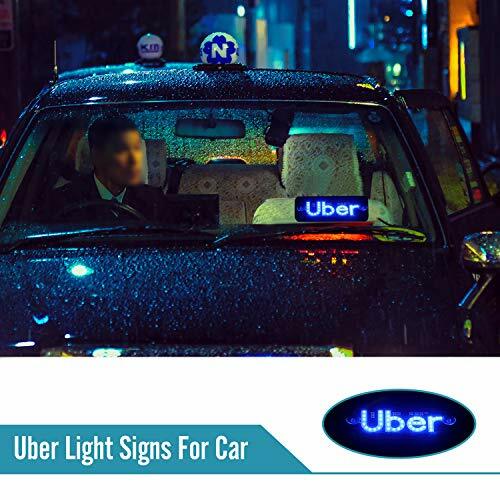 Why Choose Seven Sparta Uber LED Light Signs For Car? especially in traffic and help your passengers find you very quickly. Florida, California, Massachusetts, Iowa, Arkansas, Maryland etc. vehicles and passengers. 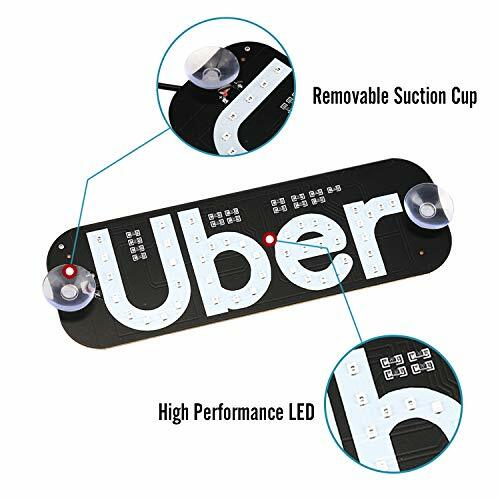 This is a circuit board with four suction cups and surface mounted LEDs for the letters. 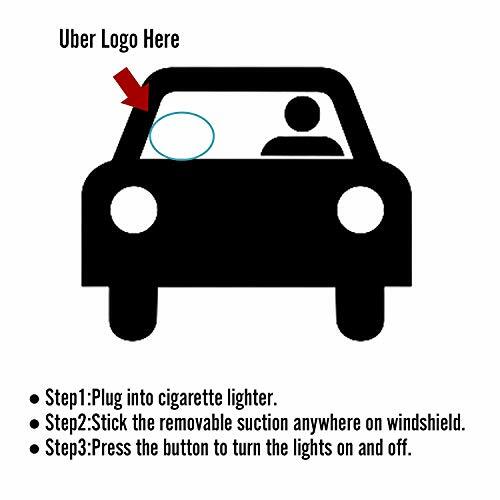 Plug into cigarette lighter and stick the removable suction anywhere on windshield. This is definitely worth the purchase! My Uber riders can spot my car instantly and it saves loads of time!!! My riders even comment on how helpful it is! I love that you can identify to customers that you are their Uber driver as you approach them. I place this on the right side of my windshield, and it is easily readable to people on the sidewalk. Cord is long enough to reach. Love the Blue color for night! The sign works well. I like that sign can be turned on and off. 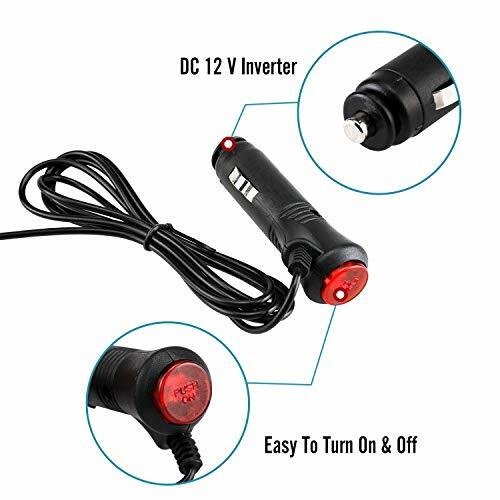 It connects to the cigarette lighter and is easy to use. 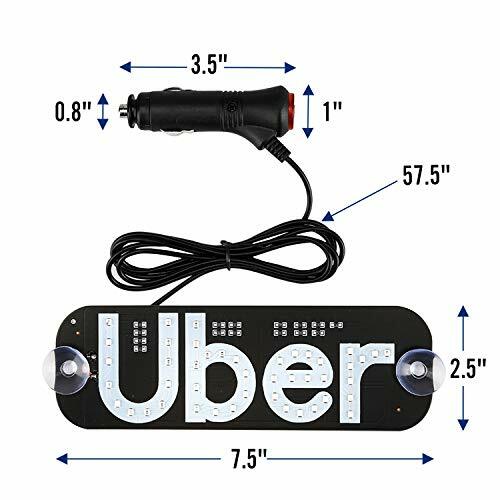 It can be connected to the windshield with clear rubber suction cups, so it is easy to remove. The product is simple and efficient which is what I absolutely love most about it. What a great idea this is. This sign is very lightweight and bright. 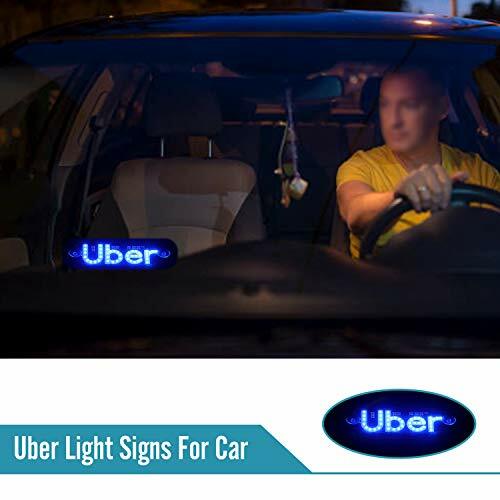 Definitely makes it easier for Uber passengers to identify their car from a distance.It would be great if it came with a case to store it in when the car is not being used for Uber. But I highly recommend this to anyone using Uber for extra income!! 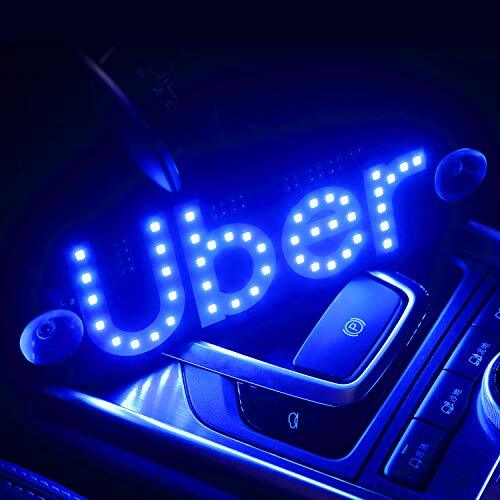 This light up UBER sign is better than I expected! I could not wait to try it out, so I set it up in my car as soon as I got it, and was really impressed by how bright it was, even in the midday sun! I was thinking it would only work at night, but I was wrong. It is very noticeable in the front window and is easy to read from the outside, day or night. 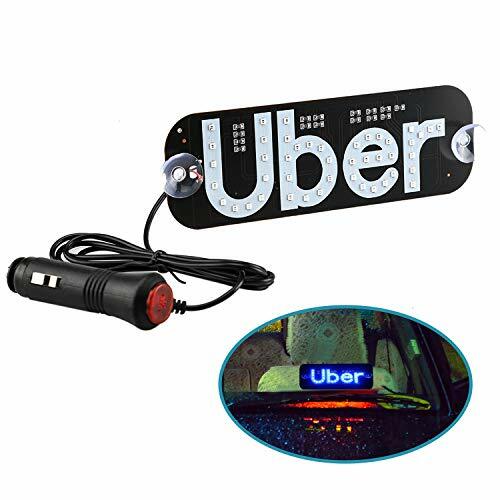 I think that it would be best if you left it mounted, as it does seem like it is highly durable (like it could break or the wires could dislodge if it was taken on and off a lot) but for the price, I think its awesome and highly recommend it for the UBER driver! This sign is great. It is very bright so there is no chance that your passenger will not see it! The button attached to the wire to turn it off and on was a good idea so you don't have to pull the adapter in and out. Lights up nicely to stand out when picking up customer. Good quality and nice long cord. Wow this is awesome!! Absolutely love this product and it is working as expected.